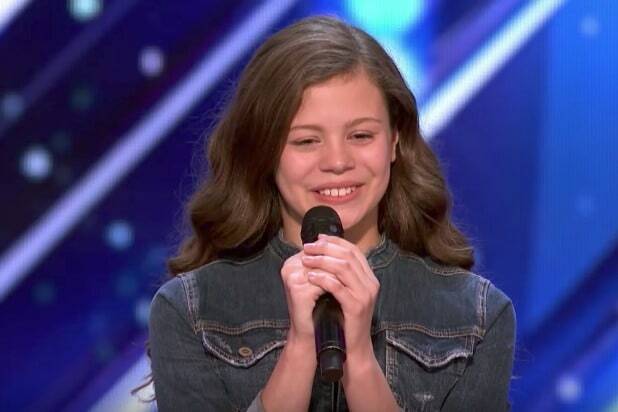 Angelina Green on "America's Got Talent"
Angelina Green recently won over the “America’s Got Talent” judges with her emotional rendition of “I’ll Stand by You,” but she almost had trouble finding her voice. Green earned the golden buzzer after the performance, which she dedicated to her mother for raising her after Angelina’s estranged father was no longer in the picture. The teen said she chose to discuss her painful past in order to encourage others who are enduring tough moments. “America’s Got Talent” airs Tuesdays at 8 p.m. ET on NBC.